Mildly spiced hot sauce using naturally smoked native labuyo chilies for the heat; combined with roasted garlic, mangoes, pineapples, coco sugar and coco vinegar for a perfect tropical blend. 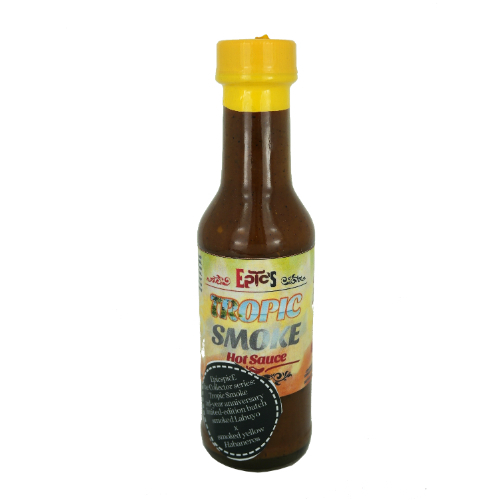 This hot sauce is a best-seller and guarantees to impart a smokey tropical flavor to your food. Goes best with bbq pork ribs, bacon, pulled pork, lechon kawali, vegetable salad, inihaw na isda, baked wings, Hawaiian style pizza, etc..